“Where Are They Now?” highlights USD Law School graduates who participated in one or more clinics, and their successful transition to the workforce. This segment features Ronson J. Shamoun, a 2002 USD School of Law graduate. From a young age, Ronson “Ronnie” Shamoun dreamed of becoming a tax attorney, possibly working for his father who is a prominent local businessman in the San Diego area. “My next door neighbor was a CPA/Tax Attorney and I knew it was a great career path,” Shamoun recalls. “I also knew I wanted to stay in San Diego, the city where I was born and where my family lives. When it came time to go to college, I knew I wanted to go to USD because it offers a great Catholic education. My sister is an alumni and she had nothing but good things to say about her experience. Plus, I loved the campus.” Shamoun completed his Bachelors degree in accounting in 1998 and, when he decided to go to law school after he graduated, USD’s School of Law was the natural choice. After receiving his J.D. 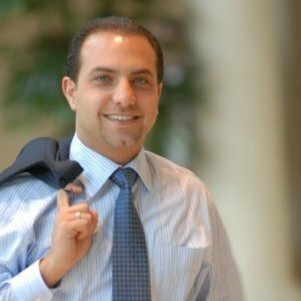 in 2002, Shamoun pursued his Masters of Laws in taxation through USD’s LL.M. program, which he finalized in 2003. Shortly after graduating, a friend’s mother referred a large case to him. Shamoun contacted his old mentor, Richard Carpenter, to see if Carpenter would jointly work on the case with him. Carpenter agreed and, after they settled the case, Shamoun decided to start his own practice, renting an office next to Carpenter. Shamoun has gone on to build a successful practice. His firm has expanded to a staff of six attorneys, two CPAs and five administrative staff members. RJS Law is now the largest boutique tax controversy firm in San Diego. 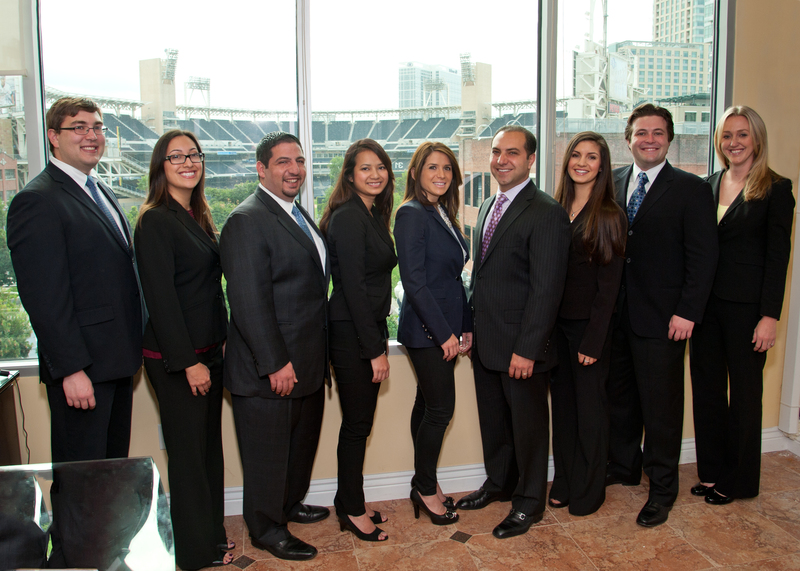 RJS Law’s team of attorneys and staff. RJS Law deals in all areas of federal and state tax controversies including criminal tax matters, audits, appeals, collections/settlements, tax court litigation, sales tax, and payroll tax matters. Their cases have ranged in size from a few thousand dollars to over $300 million. Shamoun has also successfully defended numerous clients in several high profile criminal cases and has achieved remarkable results. 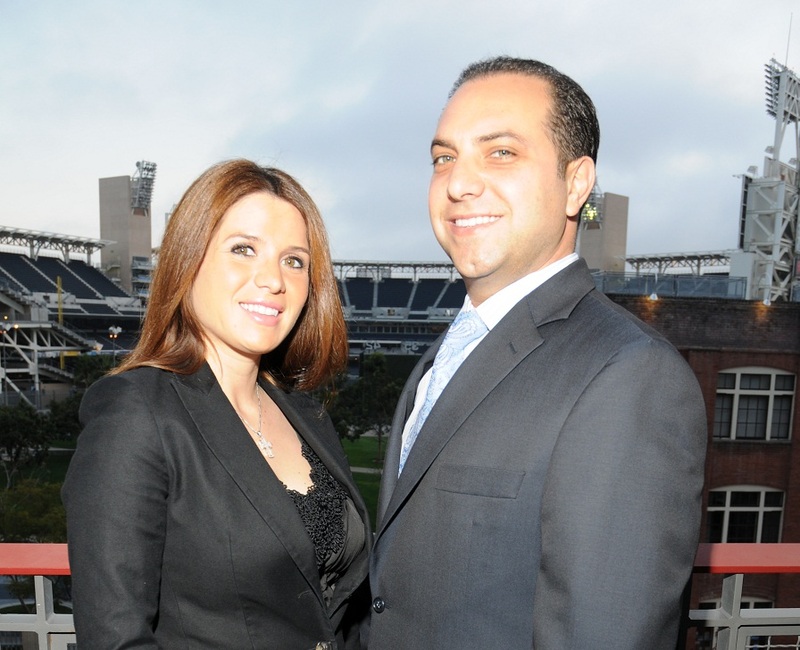 In recognition of his achievements, he received the San Diego Daily Transcript’s “Top Young Attorney” award in both 2009 and 2010. A recognized expert, Shamoun is also a frequent legal commentator for many local media outlets including Fox 5, ABC Channel 10, KUSI, NBC 7 News, and nationally on The Daily Buzz. Ronnie and his wife, Melanie Shamoun. Outside of his law practice, Shamoun is an active member of the community and is an elected member of the Ocean Beach Planning Board. He is also the owner of the Junction Steakhouse in El Cajon, the Charcoal House in La Mesa, a Subway franchise in Ocean Beach, a convenience store (Newport Quik Stop), and a drive-through coffee/juice bar (Café Bella). Shamoun also recently purchased the famous “floating” building at 3rd and A Streets in downtown’s city center neighborhood. RJS Law will occupy the fourth floor of the 32,500 sq. ft. building and the additional space will be leased to tenants.